Features: luxury but classy design; shinny party wedding handbag. 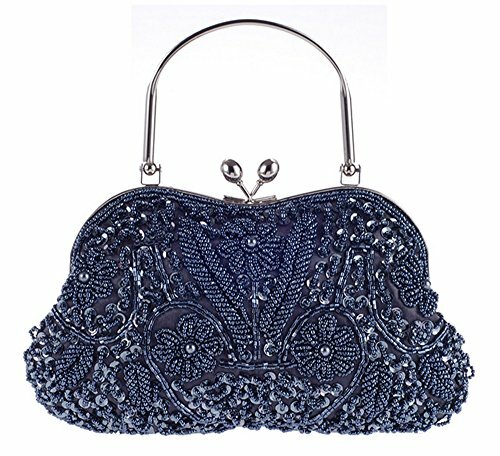 Fabrics: jewelds beaded features flower shape.kissing lock detail,and metail top-handle,these materials are shiny, noble and elegant. The approximate size is 24(L)x 3 (W)x 14(H)cm.